I got the 10 pack of tubes, ahead of schedule. These seem like good quality tubes. Fortunately, I haven't had to use one yet. I have used these in the past with no problems. 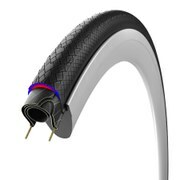 All you need for a road inner tube, great price. The tubes are great wearing. What I like is you can’t screw the valve out after using a small hand pump screw in connection. What isn’t so good is getting a purchase when connect a floor pump nozzle to the 36mm valve. The valve is a little too short so getting a good connection to pump up the tube is fiddle. 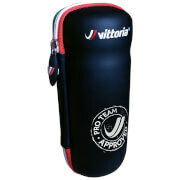 I got a 10-pack of Vittoria tubes. 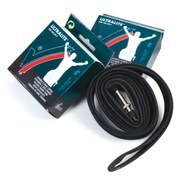 I've uses this company's products before(tyres, tubes and cycling shoes) and they all performed flawlessly. I've not needed to use any of this batch of tubes yet, but have given several to friends as gifts.The price is an excellent value.